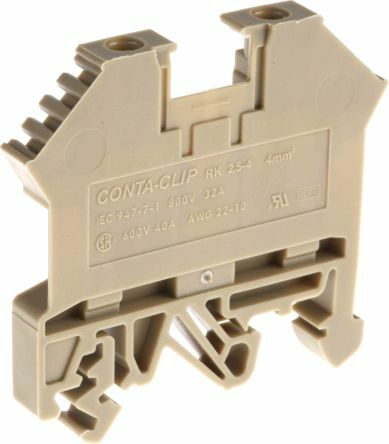 Non-fused DIN rail terminals are modular plastic blocks that are used to connect two or more electrical wires together in a control cabinet. 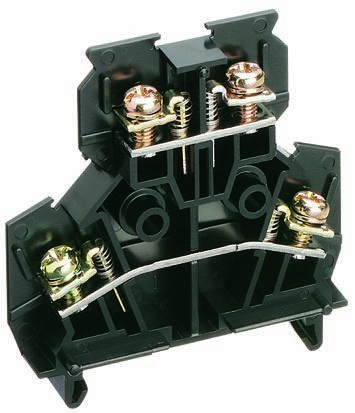 They offer protection from overcurrent and short-circuits. 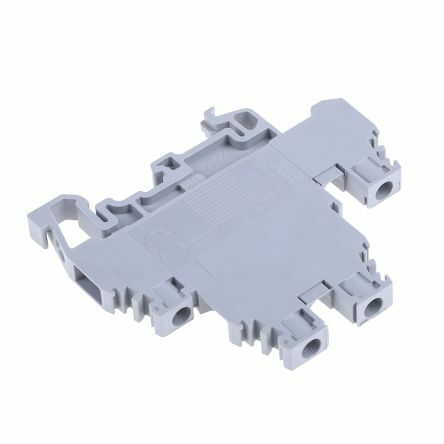 How do non-fused DIN rail terminals work? 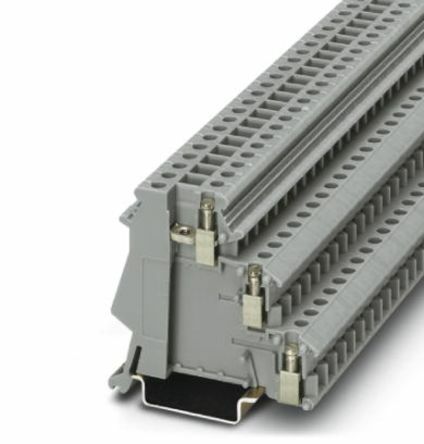 Non-fused DIN rail terminals have an insulated plastic body that houses the current carrying parts and minimises heat generated when current passes through the wires. 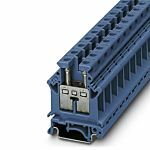 They also have a clamping device that allows you to quickly snap them on to a DIN rail. A DIN rail is a standard-sized metal rail used to organise and manage multiple terminals in a compact space. 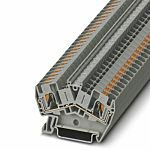 You can easily connect and disconnect a non-fused DIN rail terminal without disrupting other wire terminations. 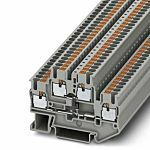 What are non-fused DIN rail terminals used for? Screw's self-retention function prevents short circuiting through fallingDenatured PPO used in insulation materialsAdapted rail is 35 mm in width, conforming to DIN standardJust push from top to mount on rail.